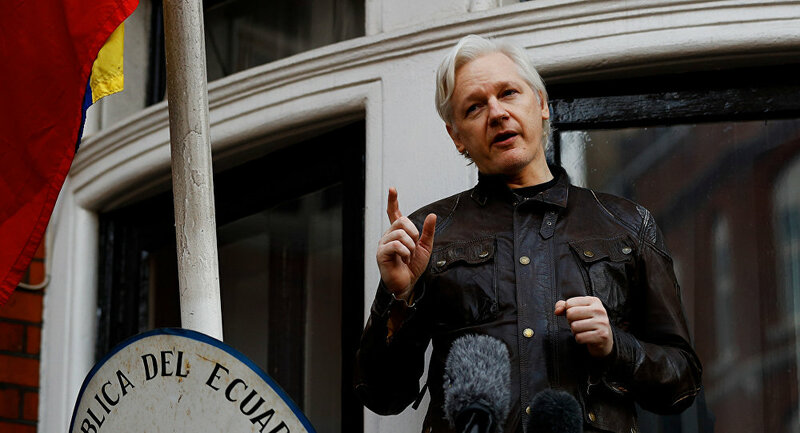 Earlier in the day, a senior Ecuadorian government official told Reuters that London had not received any request to extradite Assange, adding that his jail term in the UK for violating bail conditions would not exceed six months. "That commitment must be in writing, as a compromise between the states [Ecuador and the United Kingdom], affirming that there will be no extradition to the United States or third countries… If there is such a commitment, then Mr. Assange will surrender to the UK justice," Assange's lawyer Carlos Poveda told Sputnik on Friday. Assange has been residing in the Ecuadorian Embassy since 2012 when London approved his extradition to Sweden, where he was accused of sexual offenses. While Swedish authorities dropped the charges in 2017, Assange refused to leave the embassy, as he was still wary of being extradited to the US, where he is wanted for leaking classified military and diplomatic documents.